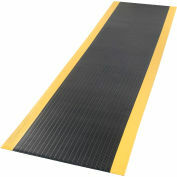 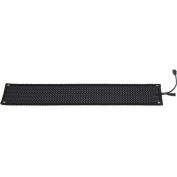 Conductive top surface helps protect sensitive electronic equipment by draining static build-up from workers to ground. 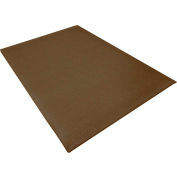 3/8" Nitrile rubber composite sponge base reduces workers fatigue. 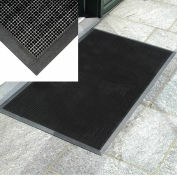 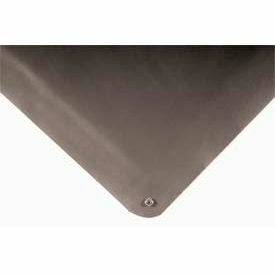 1/8" smooth vinyl surface comes with 1 grounding snap per mat. 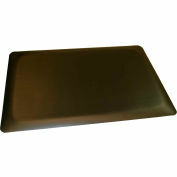 1/2" thick Smooth surface offers 1 x 104 to 1 x 106 ohms resistance. 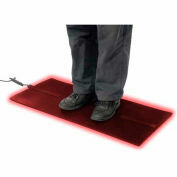 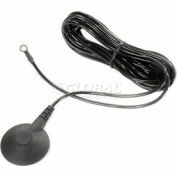 Stock Size For best results, use with optional Grounding Cord.